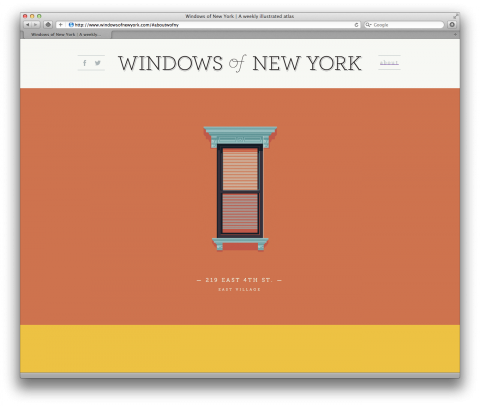 The Windows of New York is a weekly illustration project by Jose Guizar, an ode to architecture and personal challenge to never stop ‘looking’. Beautiful. Gorgeous. Beautiful design & arcitecture. Love it when artforms mingle.